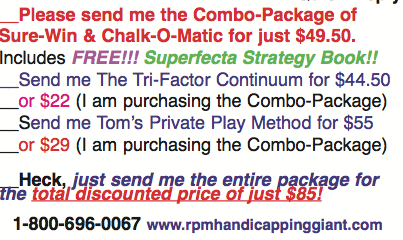 SURE-WIN!, CHALK-O-MATIC!, CONSOLE’S PRIVATE PLAY!, TRI-FACTOR CONTINUUM! + FREE THE BEST SUPERFECTA STRATEGY BOOK EVER!! Publisher’s Note: It seems that at the beginning of just about every year, we receive a boatload of new systems, methods, etc., that the optimistic authors would like to have tested. Most don’t cut the mustard, of course, but often a few worthwhile gems surface. And to kick off 2017, we are introducing four that exceeded even our expectations. You can read all about them below, and check out the great ‘package’ pricing where you can get two, three, or all for a great discount price! AND>>>> With any order, we will send you, FREE!! 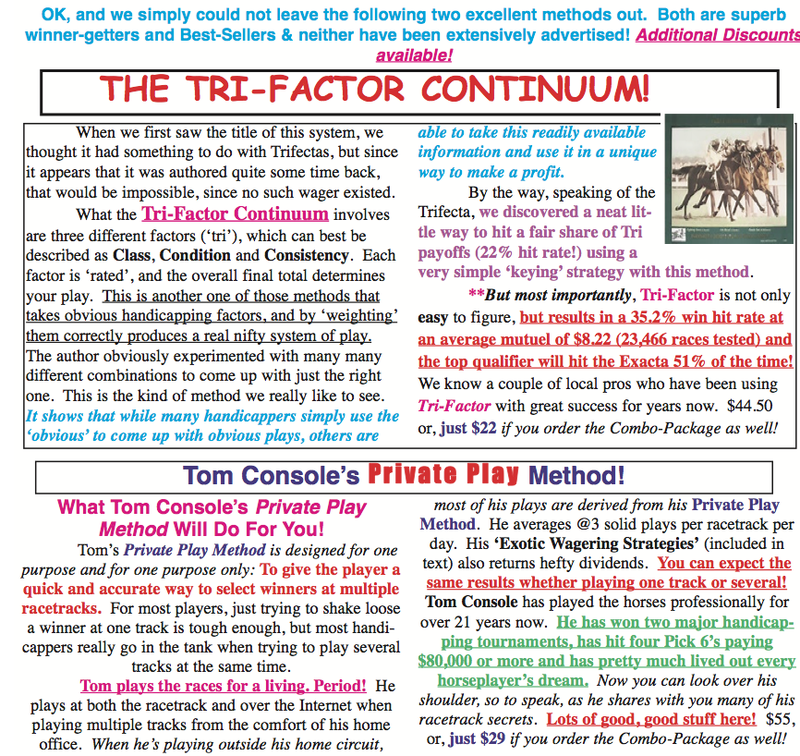 — ‘The SuperMutual Payoff — Cashing In on the Superfecta!’ — When playing the Superfecta, ‘Strategy’ supersedes handicapping — and this is easily one of the best Superfecta Strategy publications we have ever seen. >>>>>And, FREE!! 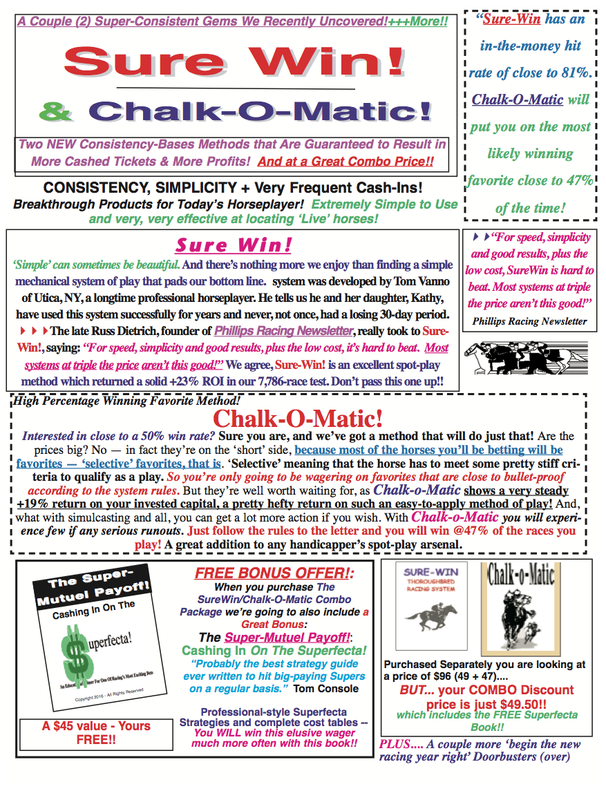 — The SuperMutuel Payoff — Cashing In on the Superfecta!! book! !